Inspire. Create. Empower. Dream. Love. Passion. Learn. Engage. I was taken back when I realized that I felt like it wasn't a day for me. Even though woman includes me, at first I didn't recognize myself as someone worthy of celebrating my womanhood. I think of other women who are icons, and inspiring and give me hope. Today I wanna remind everyone, as well as myself, that on this day celebrate the women in your life but if you identify with being a woman, acknowledge that you are powerful and have every right to take this day to treat yourself. Be the woman you want to see in the world. 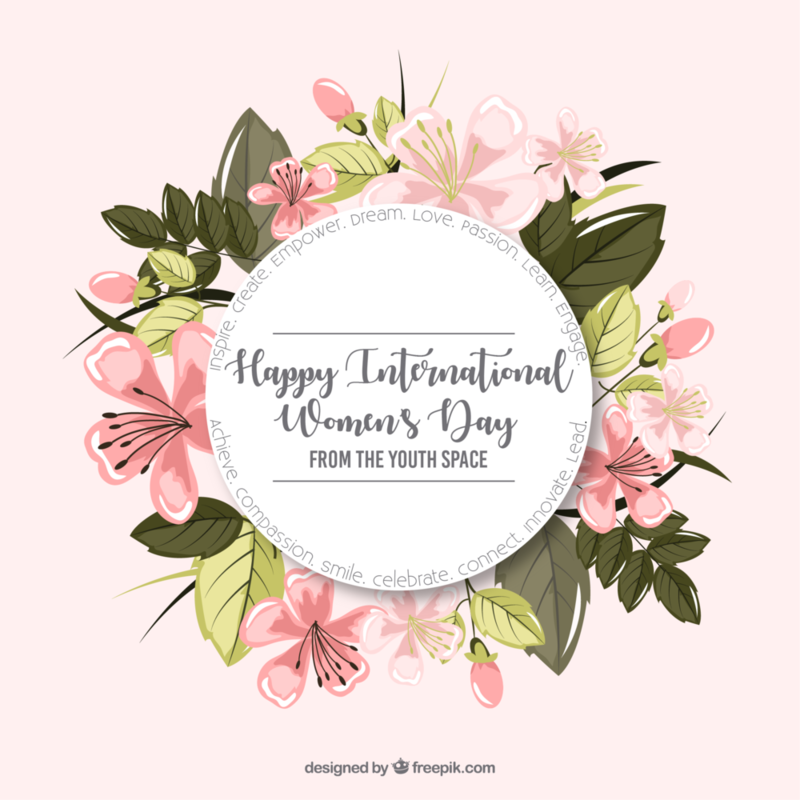 Happy International Women's Day! get in touch with the Youth Space: youthspace@alexhouse.net if you're interested in hiring her for any graphic designs.